Uehling J, Gryganskyi A, Hameed K, Tschaplinski T, Misztal PK, Wu S, Desirò A, Vande Pol N, Du Z, Zienkiewicz A, Zienkiewicz K, Morin E, Tisserant E, Splivallo R, Hainaut M, Henrissat B, Ohm R, Kuo A, Yan J, Lipzen A, Nolan M, Labutti K, Barry K, Goldstein AH, Labbe J, Schadt C, Tuskan G, Grigoriev I, Martin F, et al. 2017. 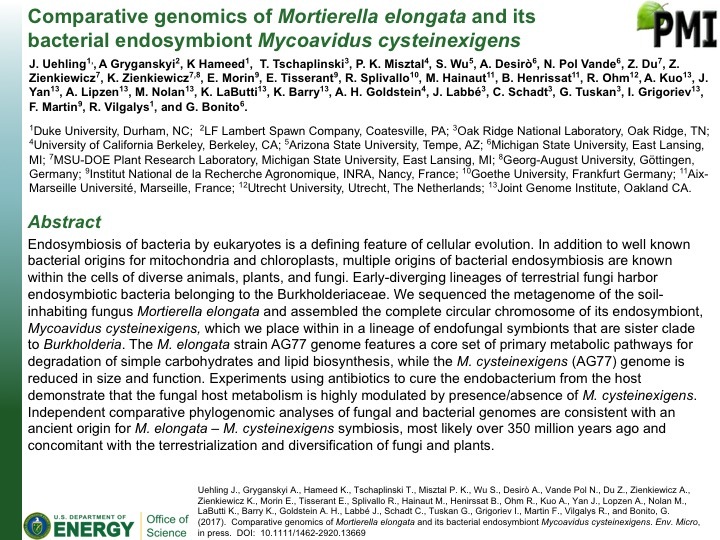 Comparative genomics of Mortierella elongata and its bacterial endosymbiont Mycoavidus cysteinexigens. 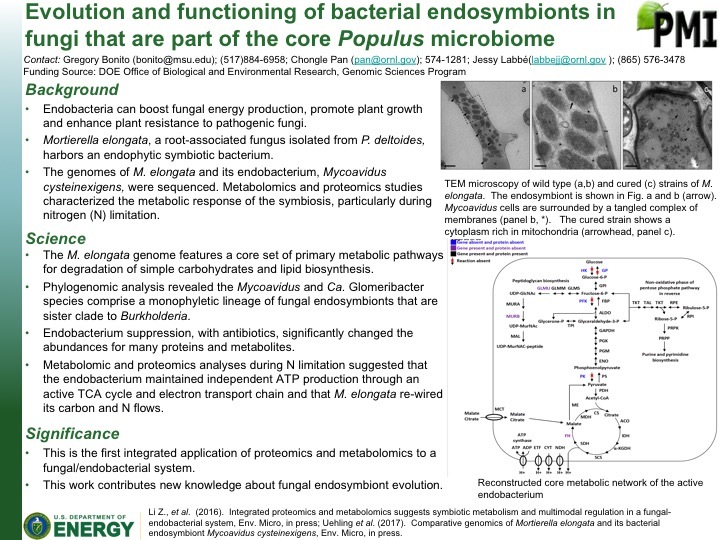 Environmental Microbiology …. 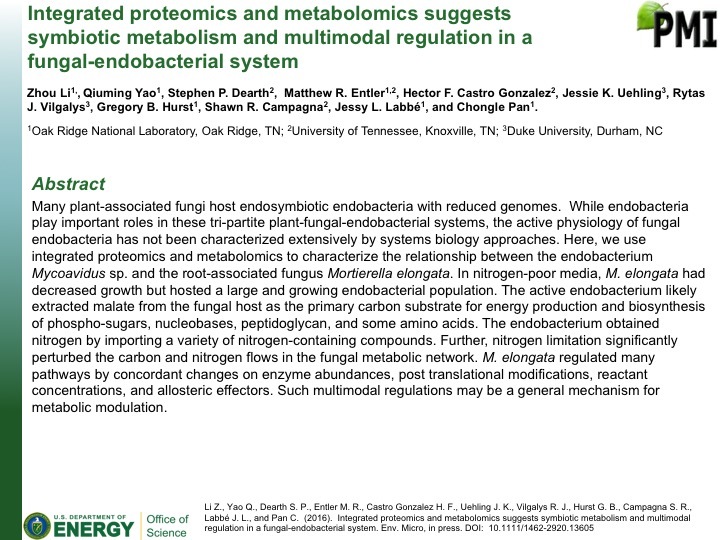 doi:10.1111/1462-2920.13669. Li Z, Yao Q, Dearth SP, Entler MR, Castro Gonzalez HF, Uehling JK, Vilgalys RJ, Hurst GB, Campagna SR, Labbé JL, Pan C. 2017. 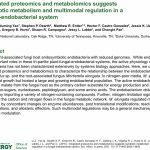 Integrated proteomics and metabolomics suggests symbiotic metabolism and multimodal regulation in a fungal-endobacterial system. 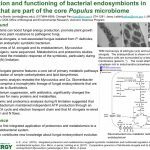 Environmental Microbiology …. 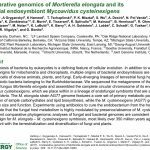 doi:10.1111/1462-2920.13605.